Sen. Dan Bishop recently said it himself: if lawmakers can’t get a consensus on judicial redistricting for the whole state, they’ll go after Mecklenburg County. Now he’s making sure they follow through. 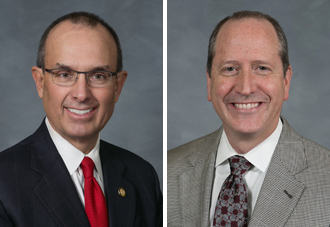 Bishop and fellow Mecklenburg Republican, Sen. Jeff Tarte, are teaming up for a second time to split up Mecklenburg County judicial districts. District court judges in the large, urban area are currently and have always been elected county-wide. Superior court judges are elected in three separate districts within the county. 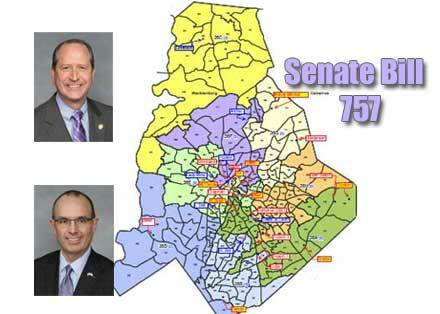 Senate Bill 757 would create eight identical judicial districts for superior and district court races, which means Mecklenburg County voters in each of those areas would only elect the judges residing in their district. Lawmakers claim that creating smaller judicial districts will allow voters to get more information about the judges they vote for and correct population disparities that exist in the three current superior court districts. Most of the judges in Mecklenburg prefer to be elected county-wide. Population disparities in the Mecklenburg superior court districts have made the county a poster child for judicial redistricting – one district has 374,000 registered voters and another has 114,000 and both elect the same number of judges. But what he and other Republicans fail to discuss is that the districts were originally created to be majority-minority to comply with the Voting Rights Act of 1965 and to prevent the dilution of minorities’ voting strength. “That’s the inequality that they are trying to remedy, and they’re just ignoring the historical rationale for those three districts,” Miller said. Those three districts are no longer necessary for the same historical reasons and similar districts in other areas have since been struck down (on state constitutional claims), but Miller suggested a different solution than what has been proposed. Tarte maintains that the bill fixes an issue of district court judges representing more people than a superior court judges, but it’s unclear why that’s an actual problem. UNC School of Government Professor James Drennan said he had not heard that representation argument before. He described the two trial courts as different, but said one wasn’t necessarily lower than the other. District court judges make less money than superior court judges and serve a shorter term (four years compared to eight in superior court). They also take up different issues – district courts deal with traffic matters, juvenile matters, criminal cases involving misdemeanor crimes and civil cases involving less than $10,000 (it is known as the people’s court); superior courts deal with all felony criminal cases and civil cases involving more than $10,000. Rep. Marcia Morey (D-Durham), who served decades as a district court judge before joining the legislature, said the two levels of trial court judges are completely different and pointed out that superior court judges, in particular, travel across county lines to hold court. “District judges should be elected by all who are within their jurisdiction,” she said. “Regardless of these districts, if you have a case in superior court, a judge may be presiding from another county that you may not vote for and cannot vote for,” he said. Drennan said it is rare for district court districts to be split up – most elect judges county-wide. “In some ways, this is a new way of thinking about electing district court judges in urban areas,” he said. Sharon Gladwell, the spokeswoman for the Administrative Office of the Courts (AOC), said only a few superior court districts have multiple electoral districts (Wake County being one example). But of those, none are currently aligned with district court districts, like SB757 would do in Mecklenburg County. Gladwell added that the AOC has not taken a position on SB757. Bishop and Tarte said in a recent committee meeting that they tried to minimize “double-bunking” (i.e. forcing two or more current judges into the same district) in their plan to redistrict Mecklenburg. There are 21 current district court judges in the county. Two of the district judges’ seats in 26A under SB757 would be eliminated: Judge Roy Wiggins and Judge Kimberly Best, both who will see their terms expire in 2020. If they want to continue serving Mecklenburg County in a judicial capacity, they will have to move to a district where there is a vacancy to run for election there. There aren’t any superior court judges double-bunked in SB757, but there is one part of the bill that is unclear: the allotted seat in district 26A is not set for election until 2020, but the current judge’s term expires this year. That means lawmakers would either have to extend Judge Hugh Lewis’ term to 2020 or there would not be a judge in that district for two years. Tarte said SB757 would make electing judges easier for voters because they would only have to do their “homework” to elect either two or three district court judges in two election cycles every four years. “A voter’s likelihood and ability to learn who they want to vote for among four or five candidates for two or three positions is infinitely more likely than picking who you believe are the 21 most qualified legal minds with the best jurisprudence out of 25 to 30 candidates,” he said. He added that the bill would also be beneficial for candidates because they would get to campaign in smaller areas. Democrats aren’t buying Bishop and Tarte’s expressed motivations. “Judicial redistricting by this legislature is for one purpose only – politics,” Morey said. She added that SB757 could open the door for similar redistricting in other areas. Rep Mary Belk (D-Mecklenburg) said she agreed that the superior court districts in Mecklenburg County are in need of adjustment based on population growth, but that it didn’t mean lawmakers needed to skip established processes for studying and proposing new districts. Douglas Keith, counsel at the Brennan Center for Justice, said even judicial changes to a single county, which may be necessary at times, should be made with care. Virginia, for example, recently asked the National Center for State Courts to conduct a thorough caseload and resource analysis and make recommendations for district boundaries, he said. A bill also just passed in Tennessee that calls for the creation of a task force and study before the proposal of a statewide judicial redistricting plan. “These decisions are going to have a real impact on how the courts in Mecklenburg County operate,” Keith said. Miller said he has been talking with Bishop and Tarte for about a year. He has opposed splitting Mecklenburg County judicial redistricts and asked lawmakers to repeal the law making judicial races partisan again. He also said that dividing districts like SB757 limits the number of qualified candidates who can fill a vacancy. Miller added though that the bill, for the most part, doesn’t directly affect the judges – it impacts the voters. The bill passed the Senate Wednesday and has been referred to the House Committee on Rules, Calendar and Operations. Editor’s note: This story has been updated from its original version to reflect changes to a judge’s term in 26A. The State Board of Elections and Ethics Enforcement provided the original data and this correction. 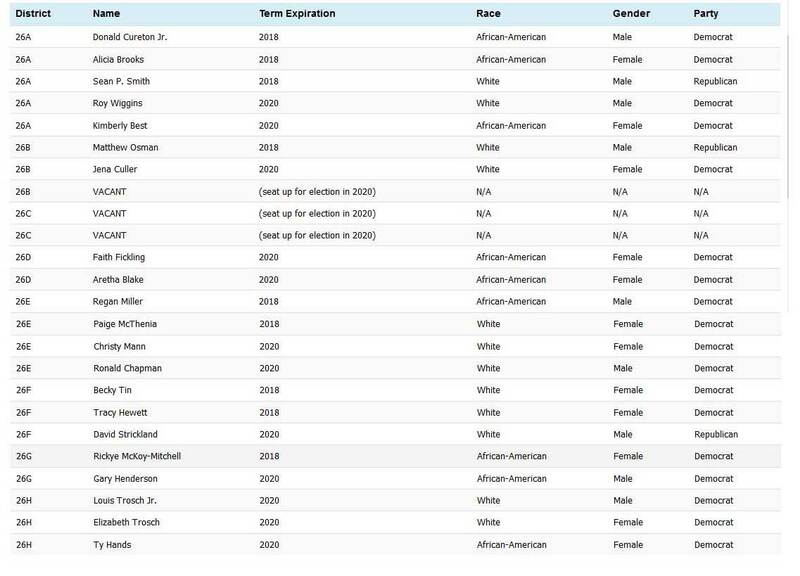 The table below has also been updated to reflect the change.